Width: The first number in tire size indicates the section width. The section width is a measurement in millimeters across from the widest point of the outer sidewall to the widest point of the inner sidewall when mounted to a wheel. Ratio: The second number in the size represents the aspect ratio of the tire. The aspect ratio represents the height of the tire as a percentage of the width. So a tire with an aspect ratio of 50 means the height of the tire is 50% of the width. 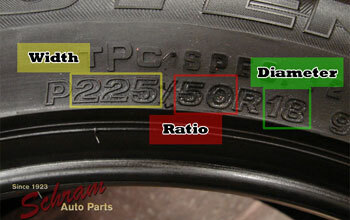 Diameter: The diameter indicates the diameter of the rim that the tire fits onto. What is Schram Auto Parts return policy? What should I do if I receive a part and it is damaged? Are there additional fees for my order? Can I arrange my own shipping? Will you ship items outside of the United States? What type of shipping methods of does Schram Auto Parts offer? Why does it cost so much to ship airbags? What kind of warranty comes with my purchase? How do you know this part will fit my vehicle? Can I pay for and pick up my part locally? Part is returned in the same condition as when it was sold. Part is received within 30 days of shipment date. Schram Auto Parts attempts to ship every item within 2 business days of payment clearing. If your item is shipping VIA UPS, a tracking number will be automatically sent to the e-mail address you provided at the time of payment. If you do not receive this e-mail, please check your junk or spam e-mail in box as it may be getting blocked. For orders through USPS or Freight, tracking numbers can be provided upon request. If it has been over 2 business days and you have not received your tracking number, please call us at (800-462-9292) for the tracking information. Will there be additional fees for my order? Schram Auto Parts charges only the price of the part plus the price of shipping. There will be no additional fees charged by Schram Auto Parts without prior agreement. However, there are cases where additional fees may be required. For freight customers, requesting residential shipping or lift-gate delivery may require an additional cost over a quoted cost to a commercial business address. For international customers, your local government may charge additional taxes and / or fees. Also, the carrier may charge brokerage fees on top of the shipping fees. Schram Auto Parts has negotiated discounted rates with most major carriers and can likely ship items at a better rate than is available to the general customer. If you wish to send your own carrier to pick up an item, you can contact us to see if there is any additional packaging fee that will need to be added at (800-462-9292). Schram Auto Parts ships worldwide. For a quote outside of the United States, please contact us directly at (800-462-9292). We prefer to ship small packages VIA UPS to domestic and most international customers, and USPS to Canadian customers. For items too large for UPS or USPS, we ship VIA freight carrier. We prefer to ship all freight items to commercial, business address, and any quote you receive will reflect that unless otherwise noted. Shipping to a residence is possible, but usually costs around $150 more than commercial business delivery. Why does it cost so much to ship an airbag? Please see our Warranty Page for information on our warranties. How do I know this part will fit my vehicle? If you used our parts search function and filled the information out correctly, the part will fit your vehicle. However, sometimes the parts lookup requires some technical information that you may not know. In these instances, please do not guess. Instead, call us at (800-462-9292) and we will attempt to help you with the parts lookup process. In the event the part does not work for your vehicle, we do offer a 30 day no hassle return policy, so long as the part is returned in the same condition as when it shipped. Can I pick up my item locally? 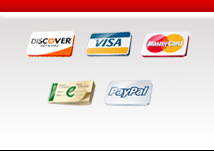 All items purchased online must be payed for at the time of purchase. However, you are welcome to call in to (800-462-9292) and make arrangements for pickup / payment locally. Please call a head to make sure the item is available at the location you would like to pickup at. 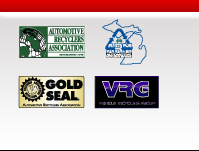 Are you an existing Schram customer? Do you have your Schram customer number? Our asking price for this item is $ We think this is a fair price, but we will consider most offers. Please fill out the following information and we will get back to you as soon as we can with our decision. Or if you like, you can call our facility during business hours at 1-800-292-1032 and get an immediate answer.